Membrane transporters act as molecular gatekeepers to the cell by regulating the uptake of nutrients and ions as well as the release of waste products. Alterations in transporter expression levels are a vital part of cancer-specific metabolic changes, since they allow the tumour to efficiently scavenge nutrients from its micro-environment in order to maintain proliferation. It is becoming increasingly clear that a large number of drugs ‘hijack’ plasma membrane transporters in order to enter the cell, rather than passing through the lipid bilayer. This means that as well as influencing cancer metabolism, the differential expression of transporters in cancer could define the drug sensitivity profile of a tumour. To date, however, the transporters required for cell uptake have only been identified for a handful of drugs, and the lack of understanding of drug entry into cells could partially explain the failure of many compounds in clinical trials. We combine analysis of large-scale, publicly available datasets with cell biology, CRISPR gene-editing and metabolomics to identify the specific transporters involved in drug uptake, and to determine how expression of these transporters affects specificity, selectivity and ultimately toxicity of the compound. By also studying the role of the transporter in cancer metabolism, we can try to exploit its underlying biology to drive efficient drug uptake. 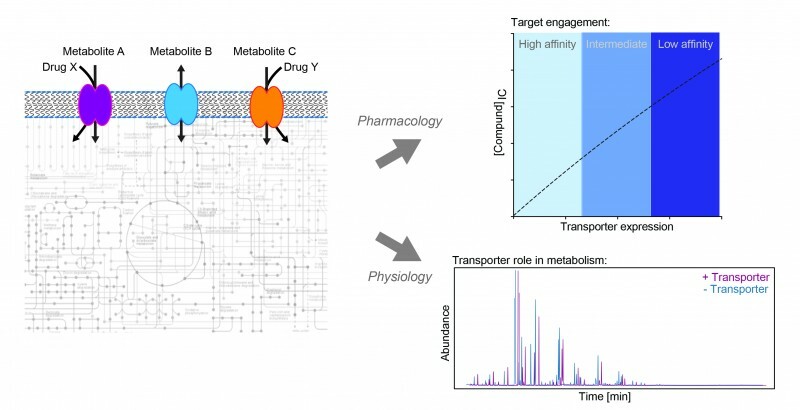 Identification of transporter-drug interactions could provide functional biomarkers to enable tailoring of treatment strategy based on a patient’s personal transporter expression patterns. 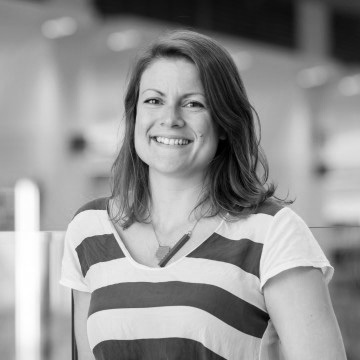 More broadly, this knowledge could help to predict efficacy of drugs in the clinic, to reduce the failure rate of new compounds in clinical trials, and could also be used to predict off-target and potentially toxic effects of drugs in normal tissues. As well as regulating the passage of metabolites across membranes, transporters are also involved in the uptake of drugs. We use a range of techniques to understand the pharmacological and physiological roles of these under-studied proteins. Fets L, Driscoll PC, Grimm F, Jain A, Nunes PM, Gounis M, Doglioni G, Papageorgiou G, Ragan TJ, Campos S, dos Santos MS, MacRae JI, O’Reilly N, Wright AJ, Benes CH, Courtney KD, House D, Anastasiou D. (2018). MCT2 mediates concentration-dependent inhibition of glutamine metabolism by MOG. Nat Chem Biol 14, 1032–1042. Macpherson JA, Theisen A, Masino L, Fets L, Driscoll PC, Encheva V, Snijders AP, Martin SR, Kleinjung J, Barran PE, Fraternali F. (2018). Functional cross-talk between allosteric effects of activating and inhibiting ligands underlies PKM2 regulation. bioRxiv 26, 1–55. Clark J, Kay RR, Kielkowska A, Niewczas I, Fets L, Oxley D, et al. Dictyostelium uses ether-linked inositol phospholipids for intracellular signalling. (2014). EMBO J 33(19), 2188–2200. Fets L, Nichols JME, Kay RR. A PIP5 kinase essential for efficient chemotactic signaling. (2014). Curr Biol 24(4), 415–21.